Cold juices and fresh fruits are what we await when the summer is around the corner with mangoes being the most wanted fruit. Ripened or un-ripened, mangoes are love! With raw mangoes, we make pickles and chutneys, and what I discovered lately, Gurhamba too – in other words, keiri ka sherbat. ‘Gurh’ means ‘sugar’ and ‘amba’ means ‘ambi,’ (raw mango). 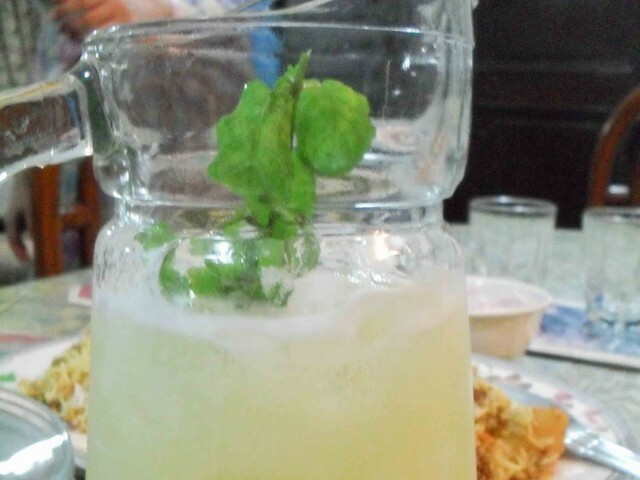 Gurh-amba is a delicious sweet and sour drink which is very good for the summers – raw mango pulp blended with ice and sugar – absolutely delicious. I searched for its authentic recipe, but my efforts were in vain. Then, my sister-in-law, who is Gujrati, got the recipe for me. It’s really easy. And the good part is that you can prepare the pulp and freeze it. Gurhamba is basically a north Indian drink, which is said to have cooling properties and protects one from the intense heat of the sun in the summers – the salt and sugar keep you hydrated. Also, eating un-ripened mangoes with salt quenches thirst and prevents the excessive loss of sodium chloride and iron during summer, due to excessive sweating. This recipe makes about 5-6 glasses of the sherbet. Wash and wipe the mangoes and roast them over a gas stove – the skin of mangoes should almost get charred, and its inside, soft and pulpy. Let them cool, and then peel off the skin. Now, scrape all the pulp from the seed. Add water, sugar, salt, black salt, black pepper in the blender and blend with lots of ice, adding more water if you find it too thick. 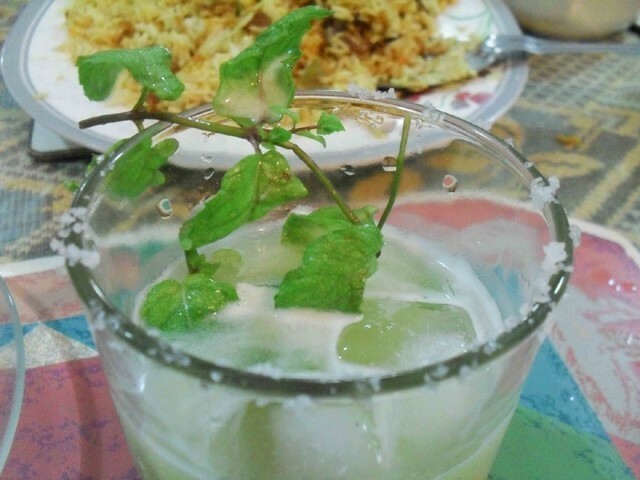 Garnish with mint leaves and serve! You can also scrape the pulp and freeze it and use it again when needed, (blending) diluting it with water. You can also add a pinch or roasted Aniseed/fennel seeds and chili powder for flavor. Instead of roasting them over a gas stove, you can also boil the mangoes till they become soft, and then use the pulp. You can make the drink in any way you want, either thicker in consistency or thinner. You can always add/subtract the water from the recipe. A student and avid food blogger who blogs at Bon Vivant. Thanks for this recipe. Takes me back to school days in Karachi. Upon returning home on hot summer days, prior to the airconditioned era of today (the Sixties and Seventies), it was a joy to find a tall jug full of this drink with ice cubes floating on the surface!. This is very refreshing drink. It is called Kairee ka sherbet or ambi ka sherbet.